A Cristiano Ronaldo hat-trick helped Real Madrid secure a 4-2 extra-time win against Kashima Antlers in the Club World Cup final on Sunday at the International stadium in Yokohama, but they had to go through an almighty scare from the Japanese champions on the road to a fifth Club World Cup title. Real boss Zinedine Zidane picked a full-strength starting eleven, with Sergio Ramos back in for Nacho being the only change from Thursday’s semifinal victory over Club America. Kashima, from the very first minute of the match, tried to use a high press against their illustrious opponents, but Real Madrid took their time and handled it with no problem, and soon enough, the Los Blancos were in the game. The La Liga giants were in cruise control courtesy Karim Benzema’s opener in the early minutes, but as the high-octane clash progressed, they were literally caught sleeping as two quickfire strikes either side of half-time from Gaku Shibasaki threatened to turn the fate of the game, and even plunged Madrid’s now 37-match unbeaten run into some serious danger. However, Ronaldo levelled from the penalty spot with 30 minutes to play, but Kashima will obviously rue two exceptional saves from Keylor Navas in the dying seconds of the 90 minutes to deny them a shot at history. 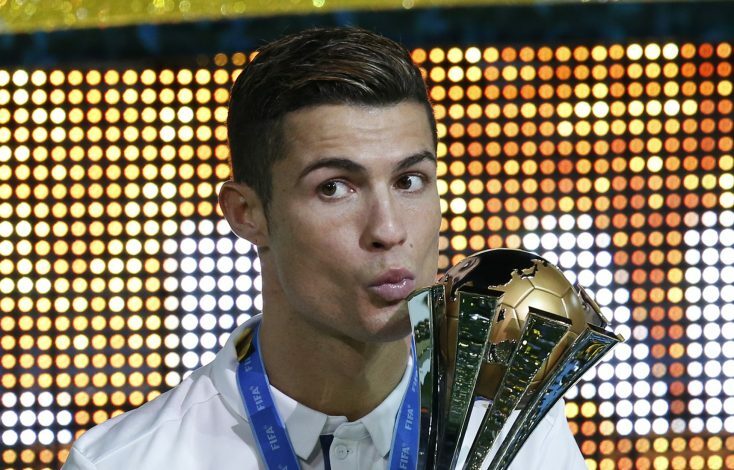 Instead, quite predictably, it was Cristiano Ronaldo who stole the show to wind up his sensational 2016, as the Portuguese added a Club World Cup to his Champions League, Euro 2016 and Ballon d’Or glory with two brilliant strikes from close range in the first-half of extra time to complete the hat-trick. Yet it was the daredevil performance of the Japanese boys which will highlight this final. Kashima went absolutely toe-to-toe with the mighty European champions. Of course, to their credit, Kashima didn’t panic. They maintained a positive brand of football by a patient approach in their build-up, showcasing impressive movement, orchestrating fine technical skill, and ended up carving out some significant chances in both halves. But it was Real’s quality which bore out in the end, with Ronaldo and Benzema’s beautiful partnership diffusing any hopes of a stunning upset.